Are you looking to reduce your monthly home expenses? For many families, this can feel like quite a challenge, but it doesn’t have to be. 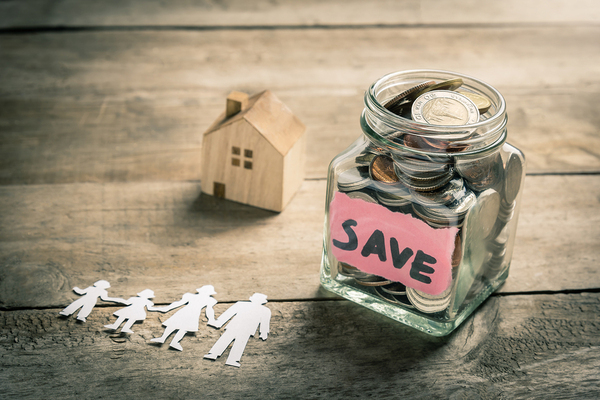 Cutting back the amount you spend on your monthly utility bills can add up to some serious savings in the long run – the average US family spends a minimum of $2,200 each year just on energy bills alone. By changing some of your habits, making some small improvements, and getting the whole family on board, you’ll see a reduction in your monthly bills. Try these five simple changes to get started saving. Get the whole family involved in saving on your monthly bills. When standing in a hot shower at the end of the day, seldom do we remember that those long showers aren’t free. Water consumption can be one of the biggest drains on your monthly utility budget because you’re using it everywhere in the house. So how to cut down on water bills? Start by becoming aware of how much water your family is using. Time your showers, monitor how often you run the dishwasher or the washing machine, and even factor in things like outdoor sprinkler systems and pools. Consider investing in low-flow faucets and shower heads, and low-flow toilets – particularly if you have older ones currently installed – where you can reduce your home’s water usage for flushing by over 60%. Speaking of all that water your family is using, hot water can be the biggest drain on your monthly electricity bill. The average daily usage of hot water is an estimated 64 gallons per day, which accounts for a shower, a load of laundry, and one dishwasher run in addition to the average kitchen and bathroom use; of course, this number changes depending on how many people are in your household and other factors. However, with this assumption, your average annual water heater cost can run between $260 and $300, with an up-to-date and energy efficient heater. Have an old heater or a problematic one? Your costs will be higher and replacing it may cost far less in the long run. No one likes to come home to a boiling house in the middle of summer, or a frozen one during the winter. However, keeping your heating and cooling systems on when you are not home is just another drain on your monthly bill. 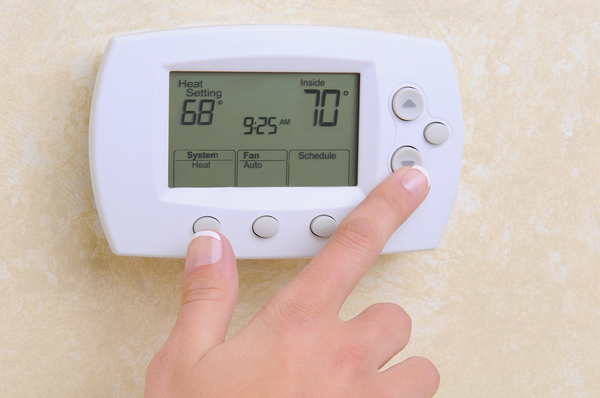 By installing a programmable thermostat, you can automatically set up your heating and cooling to work on full blast when you are home and leave it at lesser levels when you are away during the day. Basic models start as low as $20, which is a small investment for the savings you’ll see. To boost your efficiency even more, set a reminder for yourself to clean filters and vents once a month. The more dust and lint that block the air flow, the harder your systems will have to work. Keep the temperature the way you like it without worrying about your bills. Like many people, you probably keep a phone charger or two plugged in permanently in spots around the house. However, even when electronic devices aren’t on, there is a small “phantom charge” being drawn, which means your unused chargers are even costing you money. Get in the habit of unplugging all of your chargers and any other devices when you turn them off to reduce your electricity even more. In recent years, buying light bulbs has become more than just selecting your basic wattage. Nowadays, using compact fluorescent lamps (CFLs) or light emitting diodes (LED) bulbs, both of which require significantly less energy than other bulbs, has become a primary way of saving on your bills. Besides using 25 to 80% less energy than traditional bulbs, CFLs and LEDs also have longer lifespans, lasting up to 25 times as long as regular bulbs. You get the same – or better – lighting, with less money to spend on your monthly bills and on purchasing bulbs during the year. If you are really looking to start saving on everything you buy, from household needs to entertainment, your best bet is to sign up with an online deals site to get access to freebies, coupons, and more. Not only will you be able to find opportunities to improve your home’s energy efficiency but you’ll also get to enjoy more of life, without having to spend extra. Sign up for savings and deals today.